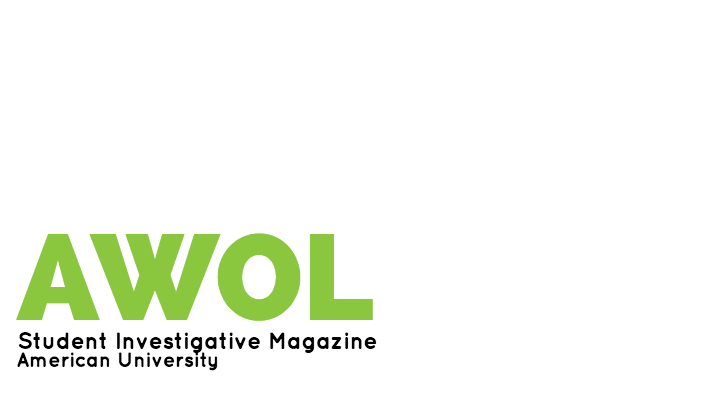 AWOL Magazine aims to continue pushing both ourselves and American University to be more critical of issues that deserve to be understood with nuance; to work subversively when dismantling barriers that suppress certain voices; to love irrepressibly when it comes to serving our community. We ignite campus discussions on social, cultural and political issues. We want to make our campus more inquiring, egalitarian and socially engaged. Our stories have an angle, which is different from having an agenda. Our reporting is impartial and fair, but our analysis is critical and argumentative. We were independently founded by American University students in 2008. While we are still student-run, today we are housed under AU’s Student Media Board. AWOL is a member of the Associated Collegiate Press and Generation Progress Voices Network. This publication has won awards at the National College Media Convention, and its writers have won awards from the Society for Professional Journalists and the College Media Association.